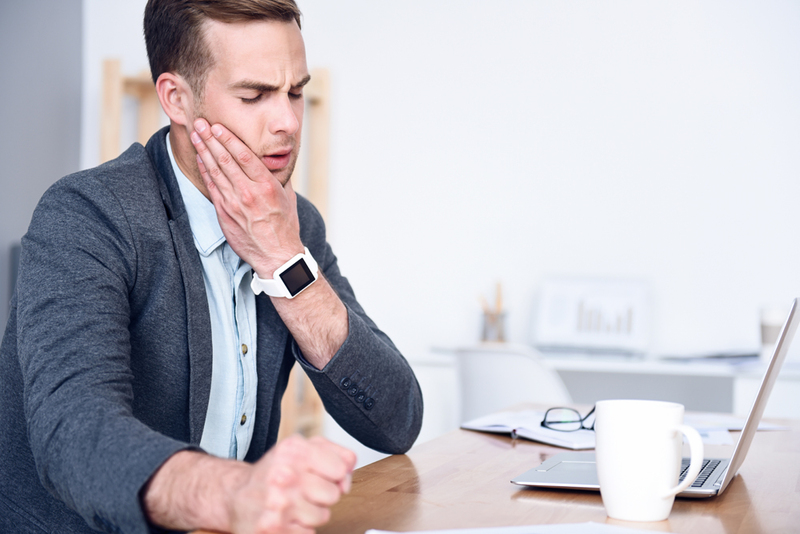 If you experience the symptoms of TMJ, which is an acronym for Temporomandibular Joint disorder, it is likely you want to find relief from pain and discomfort you experience. Contacting West Omaha Chiropractic & Sports Injury Clinic in Omaha to receive TMJ treatment from our doctor is one way to obtain successful results. Here is some information about this condition and what you can expect when you visit our clinic. TMJ is a condition caused by problems in the jointed area where the bottom jawbone hinges to the bulk of the skull. If the jaw is out of alignment, or if there is a physical trait that makes the jointed area tight, symptoms arise. This could be caused by deterioration of the disc that helps to protect your hinged jaw joint, you may have sustained damage to the cartilage in your jaw, or an injury to the jaw could cause this problem to arise. TMJ is often painful and necessitates lifestyle changes and assistance from a doctor or our chiropractor to bring you relief. If you suffer from TMJ, it is likely you have experienced a popping sensation as you close or open your mouth. Pain in the affected area usually follows. This could last for several days after an incident. Pain sometimes radiates to one or both ears as well. You may find it difficult to open or close your mouth and chewing could cause pain. In more severe cases, the jaw could remain open or hinged shut for several seconds, often causing anxiety in addition to pain experienced. Headaches are also present if you have TMJ. Our clinic practitioners will do an evaluation of your bone structure to determine if TMJ is causing discomfort. Several treatment options are available to help minimize pain. This includes manual manipulation of the jaw area. This is conducted in a similar manner to a spinal adjustment. Gentle movements are made to adjust your jaw so it moves without cracking or popping. Many people find this gives them immediate results in the minimizing of pain. Our chiropractor will also show you exercises you can do in the comfort of your home to strengthen the jaw and help it move freely rather than tightening when you open and close your mouth. If you want to reduce pain associated with TMJ and wish for symptoms to decrease or possibly stop altogether, make an appointment at West Omaha Chiropractic & Sports Injury Clinic in Omaha to receive a TMJ treatment from our doctor. Reach out to our clinic by calling (402) 334-4700 to get started.